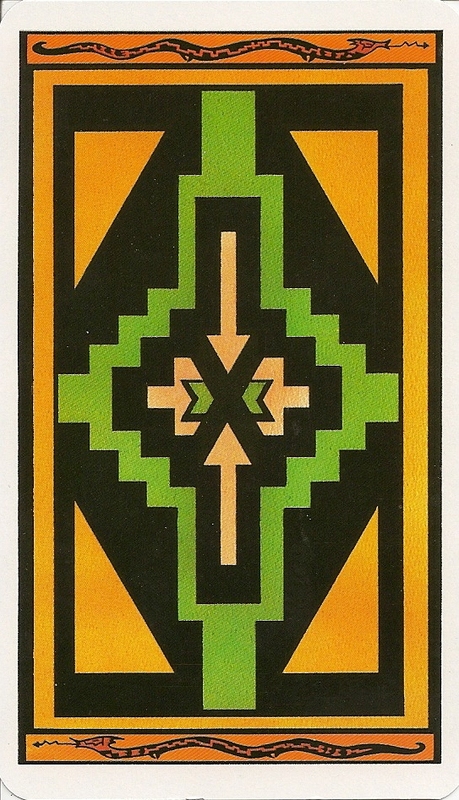 The Santa Fe Tarot uses Native American symbolism derived from Navajo sand paintings. The creators of the deck are sisters. The Major Arcana, while retaining their original names, have also been given names from the Navajo mythos, and the Minor Arcana have been changed into new forms using the four major 'peoples' of the Navajo world-view. 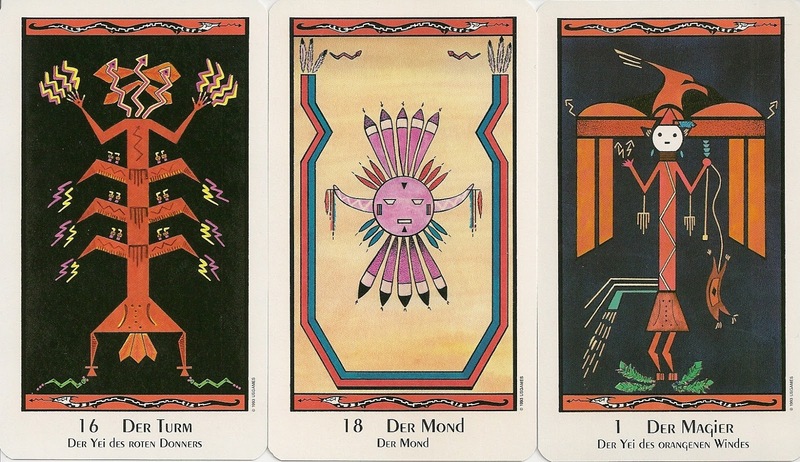 The suits are lightning (swords), rainbows (wands), water (cups) and buffalos (disks). The minors are colored by suit, with the court cards a deep color and the ace through ten a pastel of the same color. Lightening is yellow, Rainbows are a salmon, Water is turquoise and Buffalo is green.